The Weekend Gourmet: Celebrate the Holidays via a Libational #SundaySupper...Featuring Big Easy Milk Punch! 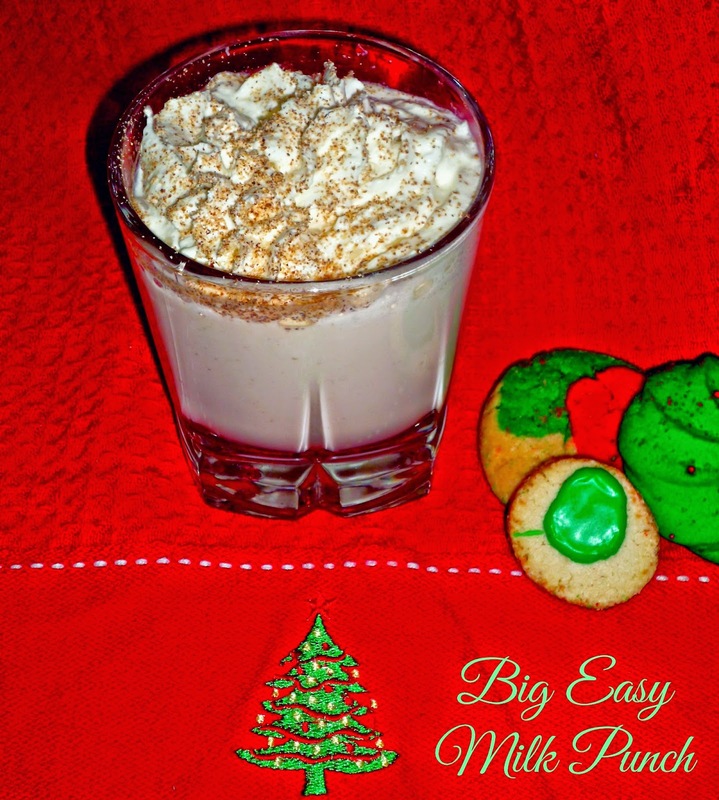 Celebrate the Holidays via a Libational #SundaySupper...Featuring Big Easy Milk Punch! Christmas is somehow less than TWO WEEKS away...which I'm in a bit of denial about! I feel like I still have a million things left to do between now and then. If you're like me and have some holiday parties on your calendar between now and New Year's Eve, today's Libational #SundaySupper theme is perfect for you! Our hosts this week are DB from Crazy Foodie Stunts and Alice from A Mama, Baby, and Shar-Pei In the Kitchen. This week's theme asked us to share our favorite recipes -- cocktails and savory or sweet dishes -- that contain alcohol or wine as an ingredient. I immediately knew this was the perfect week to share one of my favorite cocktails: Big Easy Milk Punch. 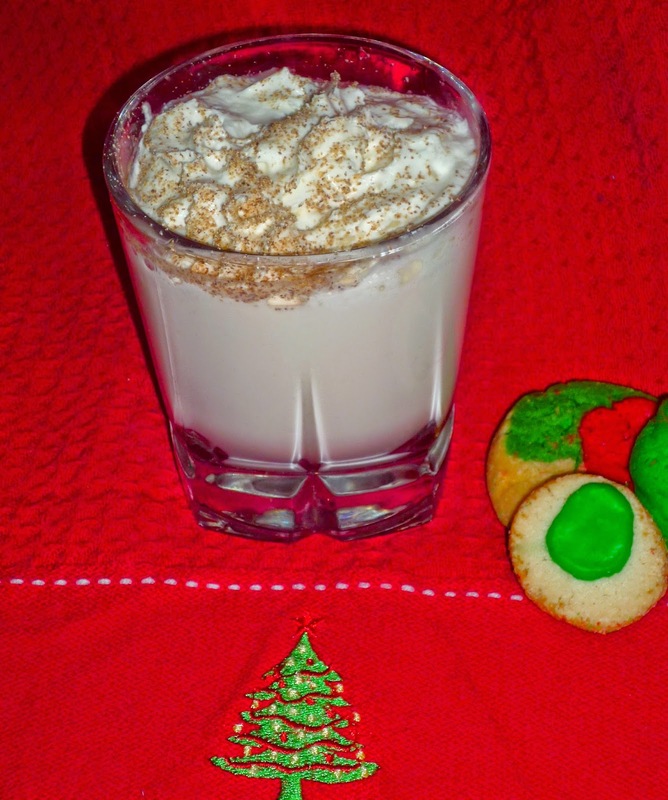 If you love the flavor of eggnog, but not its thick consistency...this is the perfect cocktail for you! Whenever we visit New Orleans, nearly every restaurant has their version of milk punch on their weekend brunch menus. After one sip, it's easy to tell why! It's creamy, sweet, and topped with a dusting of freshly grated nutmeg. Think of it like a grown-up milkshake. This cocktail is easy to whip up and it goes down very easy. Be careful, though...this cocktail may taste innocent, but it's deceptively potent! I'm going to show you how to make individual cocktails, but feel free to mix up a large batch in a pitcher for easy self serving at holiday brunches or other parties. Directions: Add the cocktail ingredients to a cocktail shaker over ice. Shake vigorously for 30 seconds and strain into a chilled rocks glass. Top with whipped cream and nutmeg. Festive holiday cookies go really nicely on the side for a dessert of grown-up milk and cookies! That's it...a party in a glass! This cocktail is creamy and comforting...and like I said? Deceptively potent! Everybody who tries this luscious libation goes absolutely crazy for it. I personally enjoy it with brunch year-round, but it's especially perfect during the holiday season. 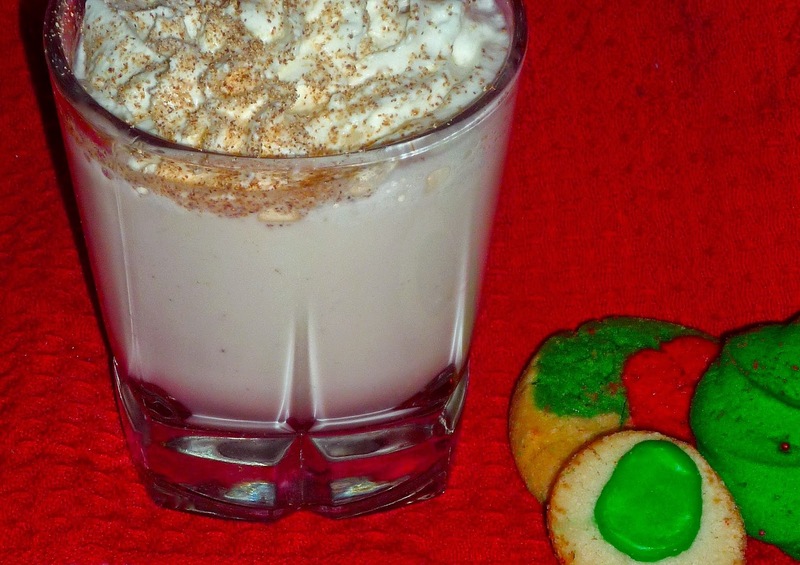 Give it a try instead of eggnog at your next party...it's guaranteed to be a big hit. Be sure to check out all of the fabulous cocktails and dishes that the #SundaySupper family is sharing today. There's sure to be something you'll enjoy! Be sure to join the #SundaySupper conversation on Twitter this evening! We tweet throughout the day and share recipes from all over the world. Our weekly chat starts at 7:00 pm ET/6:00 CST. Be sure to follow the #SundaySupper hashtag and remember to include it in your tweets to join in on the chat. To get even more great Sunday Supper Recipes, simply visit our website or check out our Pinterest board. Would you like to join the Sunday Supper Movement? It’s so much fun...and joining is easy. You can sign up by clicking here: Sunday Supper Movement.